One thing that I like about November is the great Black Friday and Cyber Monday sale. A lot of good stuff becomes (much) more affordable. During this season, it’s also a great time to buy a new DSLR camera, or upgrade from your old camera. I am a Nikon user, and I got mine during the same time last year for a great deal. Today, let’s take a look at some of the best Nikon DSLR Black Friday sales, and Cyber Monday deals as well. Some of the best deals only last during Black Friday and the day after. But there are also great discounts for Nikon camera during Cyber Monday as well. 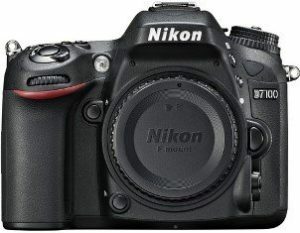 Nikon D7100 DSLR Camera (Body Only) – This is one of the currently most popular crop sensor DSLR from Nikon, after the success of the D7000. Currently it has a list price of $1,196.95. During Black Friday sale, B&H is offering $250 instant savings making it only $946.95. You also get free Ruggard Commando 36 DSLR Shoulder Bag, Watson EN-EL15 Lithium-Ion Battery Pack (7.0V, 1800mAh), and SanDisk 16GB Extreme UHS-I Speed Class 3 SDHC Memory Card (Class 10). Finally you can also earn 2% rewards. This promo will end on Nov. 29, 2014, so check out the Nikon D7100 on B&H here. Nikon D750 DSLR Camera with 24-120mm Lens – The Nikon D750 is a 24.3 megapixel full frame DSLR. It has a list price of $3,596.95. From today, until Nov. 29, B&H is giving a huge $600 instant savings, lowering the price to $2,996.95 only. The kit also includes a free SanDisk 16GB Ultra UHS-I SDHC Memory Card (Class 10), Watson EN-EL15 Lithium-Ion Battery Pack (7.0V, 1800mAh), and Ruggard Commando 36 DSLR Shoulder Bag. Check out this Nikon D750 Black Friday sale here. 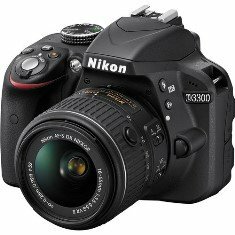 Nikon D3300 DSLR Camera with 18-55mm Lens – This is currently Nikon’s latest entry level DSLR, great for beginners and those who are on a budget. This Black Friday, B&H is offering a $150 instant savings, and you can earn 2% reward with this item. The kit also includes free Ruggard Hunter 35 DSLR Holster Bag, SanDisk 16GB Ultra UHS-I SDHC Memory Card (Class 10), and Luminesque 52mm Circular Polarizer and UV Slim PRO Filter Kit. You can check out this deal here. Meanwhile, if you are okay with the previous generation Nikon D3200. You can get it for the same discounted price with the Nikon D3300 kit. For $496.95 only, and a 2% reward, you can get the Nikon D3200 with 18-55mm and 55-200mm Lenses. The kit also includes free Luminesque 52mm Circular Polarizer and UV Slim PRO Filter Kit, and SanDisk 16GB Ultra UHS-I SDHC Memory Card (Class 10). Check out this deal here. Nikon D610 DSLR Camera – This is probably one of the most popular full frame DSLR camera from Nikon. B&H is offering a $400 instant saving during the Black Friday season, until Nov. 29. Currently it has a discounted price of $1,596.95 only plus you can earn a 2% reward. Check out the Nikon D610 deal here. 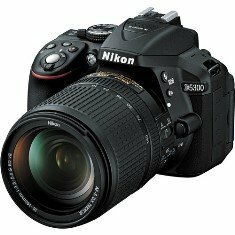 Nikon D5300 DSLR Camera with 18-140mm Lens – The D5300 is another affordable DSLR camera that sits right in between the D3300 and D7100. It’s a crop sensor camera perfect for a beginner to the more experienced user. B&H is offering a $300 instant savings plus you can earn 2% rewards. The Nikon D5300 with 18-140mm Lens kit is available for only $996.95 until Nov 29. Alternatively, you can opt for the more affordable Nikon D5300 with 18-55 kit lens for $796.95 only. This already includes the $100 instant savings and you can also earn 2% reward. That’s Not All, More Deals Here! Is the camera you are looking for not listed above? Don’t worry, these are not the only Nikon sale during this season. In fact there are more to choose from and more options for you. Check out the full list of best Nikon DSLR deals on B&H here. Why buy from B&H Photo Video? B&H is one of the best, if not the best, place to buy DSLRs, camera, lenses and the likes. They offer very competitive pricing and sometimes the lowest as well. They also got excellent customer service and not to mention shipping is just right on time (sometimes unexpectedly earlier as claimed by other customers). Again, the items mention in this best Nikon Black Friday and Cyber Monday deals is just a partial list of what B&H has to offer. Visit B&H and check out all their promotions.